Startup Battlefield is returning to Africa this December. TechCrunch will be hitting Lagos, Nigeria, bringing with it our Battlefield competition and a day’s worth of panel discussions, focused on topics facing the city’s startup scene. We’ve already announced a pair of speakers for the event and and are excited to add a couple more to the list, bringing with them expertise on topics like VC funding and blockchain technology. Olugbenga Agboola is the CEO of Flutterwave. Prior to cofounding the company, he was involved in a number of fintech companies, including PayPal and Standard bank. The Lagos-based startup serves as a payment gateway for a number of high profile companies including Uber, TransferWise, booking.com and tuition platform, Flywire. In July of this year, Flutterwave rasied a $10 million Series A led by Greycroft Partners and Green Visor Capital. Other investors include Y Combinator, Omidyar Network, Social Capital, CRE Venture Capital and HOF Capital. 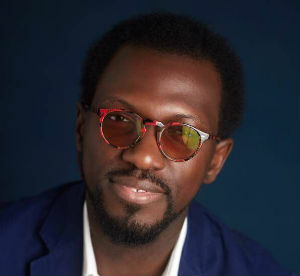 Aboyeji will join us to discuss the potential of blockchain tech in Africa’s burgeoning startup scenes. Kola Aina is the CEO and founder of Ventures Platform, a Lagos-based VC firm focused on Africa. VP is among the largest accelerator/seed stage funders in the space with an eye toward solving local issues. In addition to serving as a Partner at the fund, Aina is also a mentor at World Bank Group and Google’s Launchpad Accelerator. We’ve got plenty more speakers to announce in the coming weeks. You can grab your tickets to the event here.